IN THE EVENT OF A TURKEY ATTACK, CALL THE POLICE! 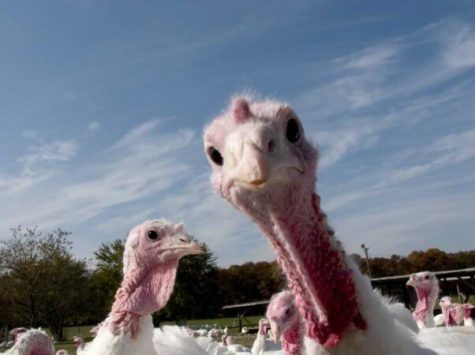 A gang of turkeys caused the elderly of Stamford, Connecticut to hide indoors. 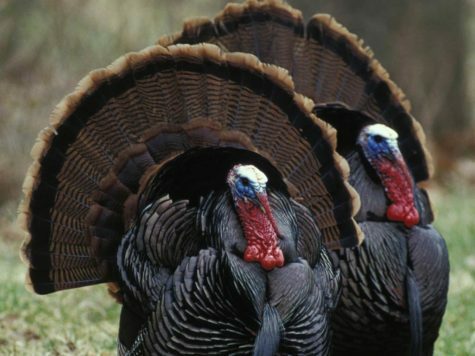 The aggressive turkeys would pick fights amongst each other, then turn on the residents! Domestic terrorism in Mt. Lebanon, Pennsylvania. Turkey attacking people in SUVs. 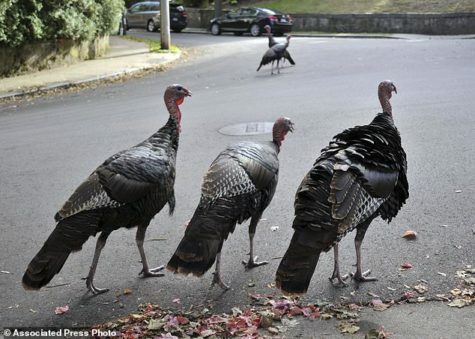 A fearless turkey attacked a police car in Mount Vernon, Pennsylvania. His name is Stu and he gets aggressive when he sees his reflection. A turkey laid 18 eggs on a Staten Island man’s property and refused to move. An animal rescue team moved her and her babies to an animal sanctuary, so this story had a happier ending than most. 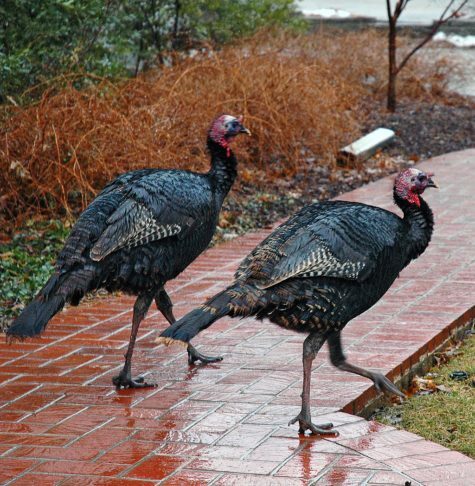 A woman could only chase a loitering turkey away by throwing her Thanksgiving turkey at it. LOL … the circle of life.